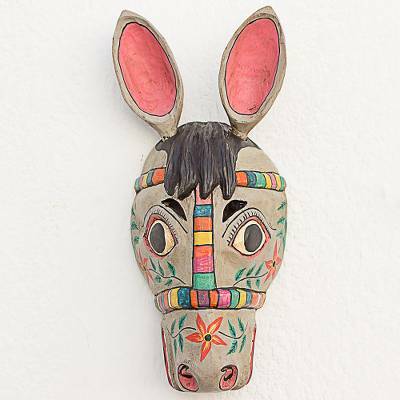 Artisan Crafted Guatemalan Folk Art Horse Mask, "Todos Santos Racehorse"
"This is a racehorse that will compete in the races in Todos Santos Cuchumatan. It's such a colorful festival, and the horses and their riders are central to the event," Jose Canil Ramos says. He depicts the swift young steed as a pinewood wall mask, adorned with flowers for the special day. You can find wood mask 'Todos Santos Racehorse' by Jose Canil Ramos in masks categories such as Animal Themed Masks and Wood Masks. Enjoy exploring these sections for other Novica treasures.